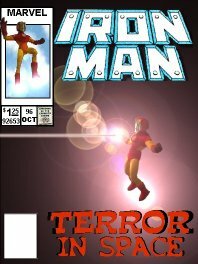 Bodyguard to millionaire industrialist Tony Stark. 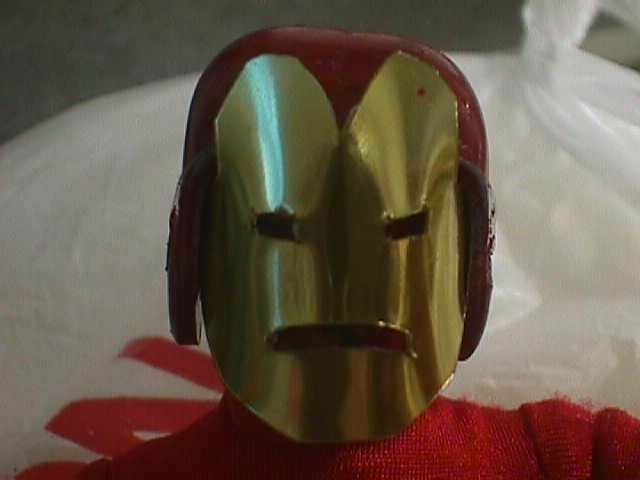 "Shellhead," as his frends call him, wears armor designed by Tony Stark. 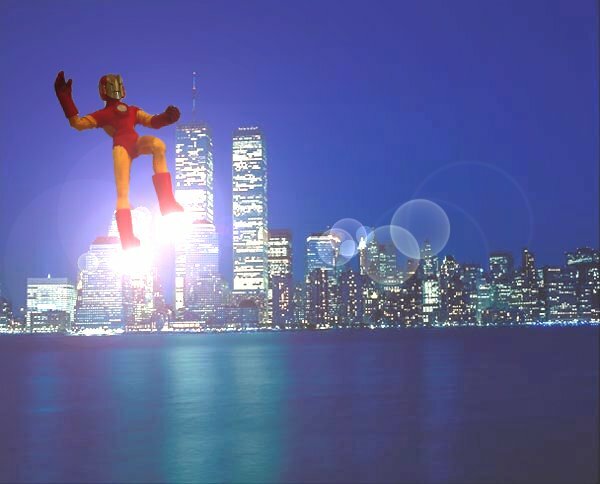 Here's a rare shot by Daily Bugle photographer Peter Parker of Iron Man making a landing approach over the Hudson River. 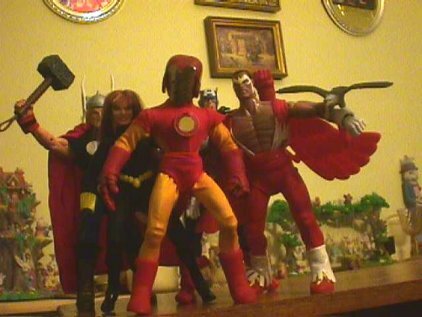 Here, he's seen leading The Avengers, Earth's Mightiest Heroes! 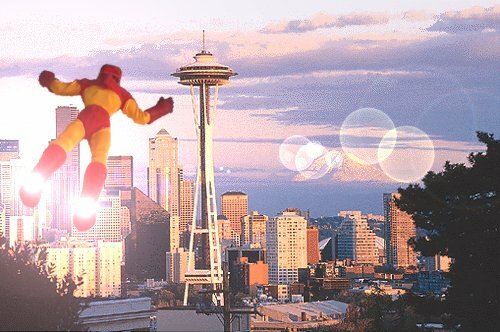 Iron Man has recently been seen in Seattle, WA, the new home of his boss, Tony Stark. Perhaps he was scouting locations for his boss' future home. 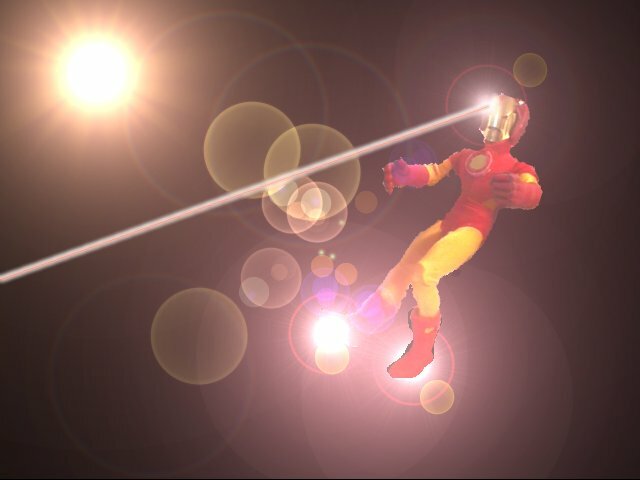 Iron Man is struck by an energy weapon during a recent space battle. 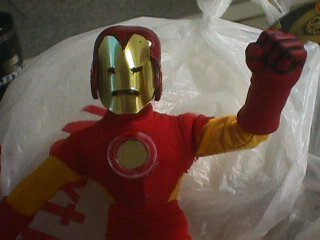 Iron Man is millionaire industrialist Tony Stark. 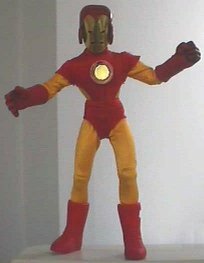 The golden parts of the costume were hand sewn by Ms. Cynthia Kalkman. The boots were Daredevil's, and the gloves were Captain America's. 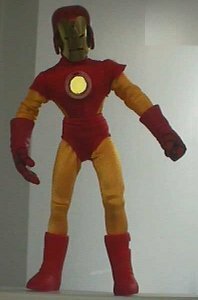 The red part of the costume is cut back from Daredevil's costume. The unibeam is the sprocket from an audio cassette, with a circular section of a "Famous Covers" box insert for the lense. 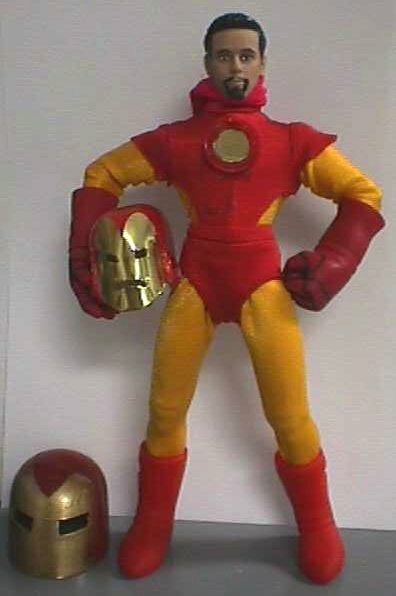 The helmet is a football helmet purchased for $0.50 from a vending machine outside a "Toys R Us." I'm not happy with it. The faceplate was cut from the insert from a "Famous Covers" box. I'm very happy with it.